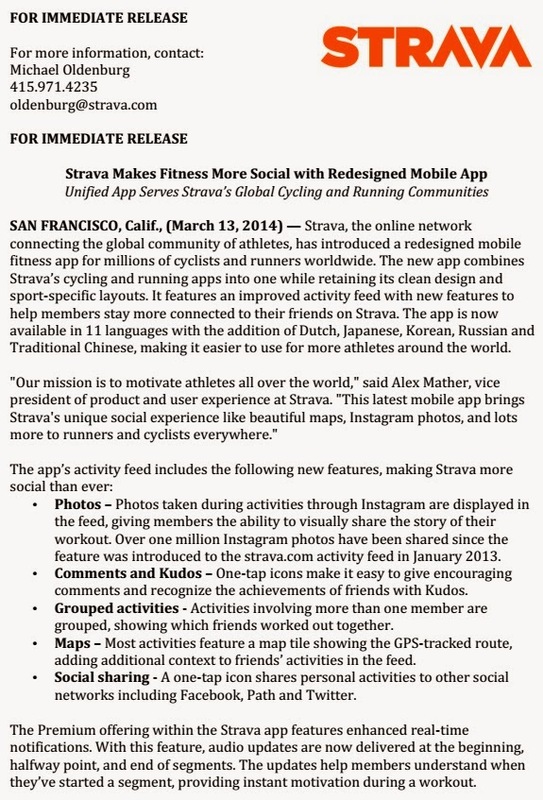 Just want to share some news about Strava. As you know, I've been using Strava for quite awhile now and have every run, bike ride, yoga and weight session I've ever done in it. I really enjoy it and I've only been using the free version. I've really enjoyed using the photo for Instagram with Strava. Some of you may have noticed that I have been using my Instagram account much more lately. It's only because I like this feature of Strava that will show my photos tied to my run that day. It's a great feature. 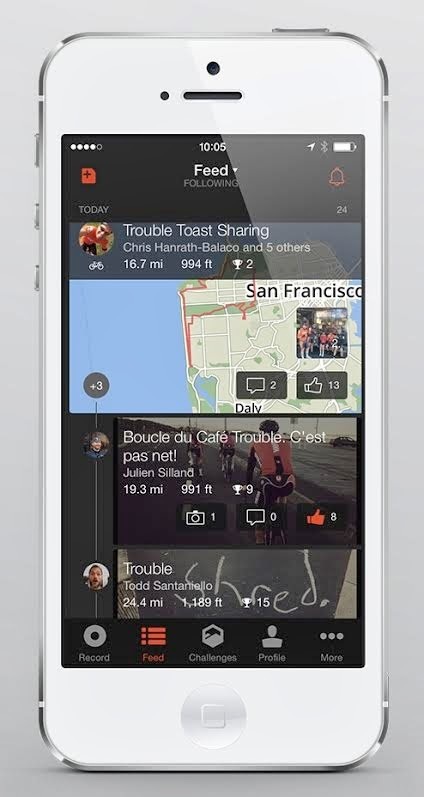 While the app is great to keep track of you running, it's also very social and it's fun to compete with others that you are friends with. I also love the Challenges that they offer monthly. 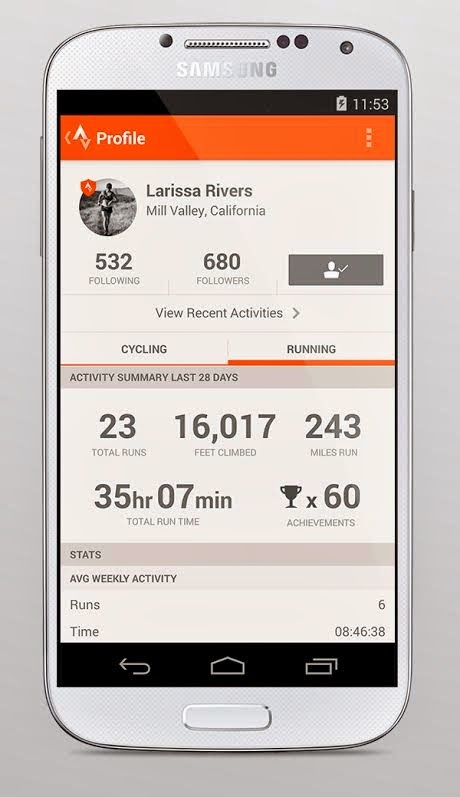 A new feature of this app is that it combines the running and biking apps into on application and it has a great new design. 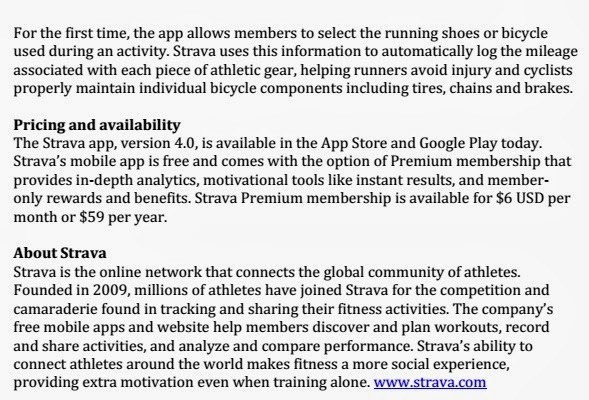 This is definitely something that I use on a daily basis with my training and worth considering if you are looking for something to track your miles. Check it out. Another great feature is that (at least the Android app that I use) now has pebble smartwatch integration and I have access to activity time, distance and average pace on my wrist during exercises.